[dropcap]A[/dropcap]lthough the beautifully restored theatre in the palace of Versailles dates from a century after Lully’s day, it obviously makes for an appropriate venue for his operas. Indeed in the case of Alceste it did have a contemporary performance at Versailles, some six months after its premiere at the Paris Opéra in January 1674. That occasion marked part of the celebrations following the victory over Franche-Comté, when in July Alceste was given an open-air performance in the Cour de Marbre. 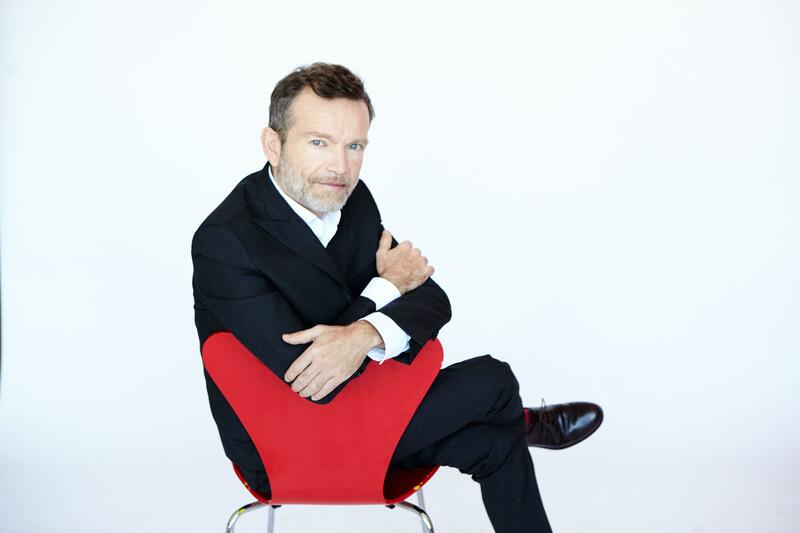 The concert performance given on 12 December was a continuation of Christophe Rousset’s peerless cycle of Lully’s operas, having been first given at the Beaune Festival in the summer. It also appeared on CD contemporaneously with the Versailles performance. Alceste was the second of Lully’s thirteen tragédies en musique. Like nearly all of them it has a libretto by Philippe Quinault based on the work of a classical author, in this case, Euripides’ Alcestis. To the considerable annoyance of the classicists of his day, Quinault took considerable liberties with the story of Alceste’s self-sacrifice to save her husband King Admetus (Admète) from death, in particular introducing a love triangle by making the hero Hercules (Alcide) a rival for the attentions of the queen. Worse still from the point of view of the purists, Quinault introduced a secondary and largely comic trio in the shape of the confidant(e)s Céphise, Lychas and Stratton. Today we are more likely to welcome the variation such mixed genres provide, but it is interesting that Lully and Quinault would quickly lead the way in dropping comic scenes, thus presaging a similar move by Italian opera by some two decades. Quinault’s libretto is indeed notable for its diversity, containing as it does a Prologue set on the banks of the Seine, a seaport and a sinking ship (act 1), dramatic battle scenes that inspired Lully to colourful pomp and brilliant orchestral effects (act 2), the darkness of the funeral obsequies for first Admetus, and later Alceste (act 3), Hercules’ journey to Hades to redeem Alceste, complete with a comic Charon, who worries that the massive hero will sink his boat (act 4), and a final act in which Admetus is initially overcome with joy by the return to life of Alceste, then distraught that he has lost her to Hercules, to whom he promised Alceste should the hero bring her back from Hades. Ultimately all is of course resolved by Hercules nobly returning her to her husband. Lully sets all this in the flexible alternation between the récitative he had evolved from the declamation he had studied in the theatre with the airs derived from the airs de cour of the earlier part of the century. Completing the picture is of course dance, the divertissements that concluded each act. If later tragédies en musique are marked by greater maturity and development of the genre, the score of Alceste is remarkable for its assurance and a use of the orchestra unrivalled by any other composer of the day. The playful character of the love games of the young Céphise with her suitors, contrasts strongly with the moving gravity of the mourning for both king and queen; it is a mark of the flexibility Quinault brought to his book that the flirtatious Céphise plays a deeply touching role in the lamentations for Alceste. Rousset’s performance maintained the extraordinarily high quality of his previous Lully opera readings. Indeed, given that he here had a cast as near flawless as one has a right to expect the impact created will remain long in the mind. The revelation of the evening for me was mezzo Ambroisine Bré’s Céphise, pertly coquettish, yet also capable of deeper emotional responses. This is a lovely voice, fresh and evenly produced across its range, while also highly accomplished in the execution of ornamentation. Bass Edwin Crossley-Mercer, a Roussset stalwart was a rich-toned and authoritative Alcide, a figure of considerably greater sensitivity than the usual portrayals of Hercules as a rather dense strongman. As his rival, the haute contre Emiliano Gonzalez Toro was a dignified Admeto, infinitely touching in his farewell scene with Alceste, deeply impressive in the king’s conflicting emotions at the start of act 5. Judith Van Wanroij’s Alceste was marked by a touching, empathetic warmth that extended to real understanding not only for her husband, but also Alcide, the other man who would give her his love. The many remaining parts were divided between five singers, each admirable, of whom Spanish soprano Lucia Martín Cartón and bass Douglas Williams particularly impressed, the latter as Lycomède, the warlike villain of the piece, and Charon. The Namur Chamber Choir have become the ‘go-to’ chorus for large chunks of the Baroque repertoire, their alert response and excellent characterisation here typical of their stellar work. Les Talens Lyriques responded with the finesse and fervour they invariably bring to their playing under their founder, who is now unshakably established as the outstanding Lully interpreter of our (and probably any) day.